6:40 p.m. / Gates: 5:30 p.m. There will be a limited number of lawn 4-packs sold for $98 plus service fees. 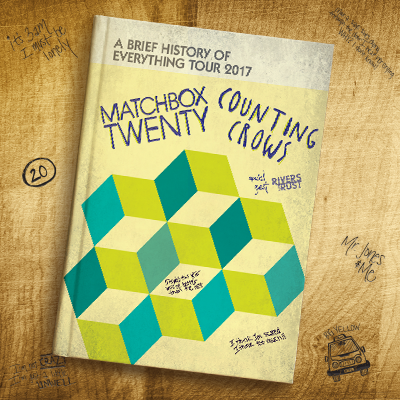 A Brief History of Everything Tour comes to The Pavilion for a night of your favorite music. Matchbox Twenty and Counting Crows, with special guest Rivers and Rust.